What is Google Opinion Rewards? How does Google Opinion Rewards work? Where can I use Google Opinion Rewards credits? How much can I earn with Google Opinion Rewards? How can I earn more credits on Google Opinion Rewards? Google values your opinion and is looking to hear from you on a variety of topics, and the Google Opinion Rewards app is Google’s way of connecting with you and rewarding you for your input. Market research is an essential tool for many companies to engage directly with the consumer to discover the target market and record consumer opinions about the product and its impact on the consumer. Market research has come a long way in the age of the internet and Google is bringing the consumer directly in touch with companies who want valuable opinions and insights and are willing to pay for it. Read until the end to know how you can earn more with Google Opinion Rewards! 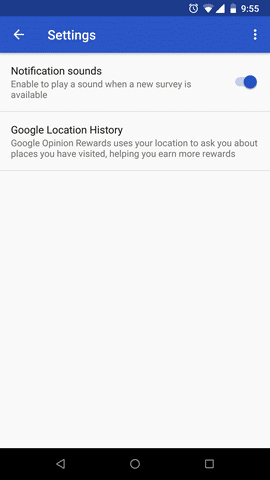 Google Opinion Rewards is part of Google Surveys where Google rewards you with Play Store credits for your opinion. It is a market research tool that helps businesses make informed decisions while letting you earn some easy money in the form of Play Store Credits. 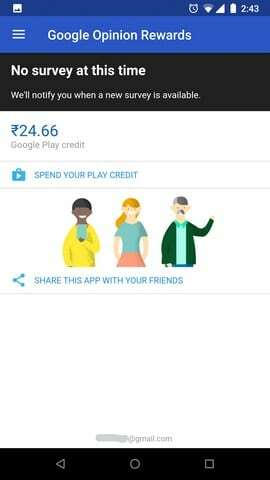 You can use these credits to buy that app you have been eyeing for a long time or music or movies from the Play Store. When you sign up for Google Opinion Rewards, researchers send you questions via a small survey of not more than ten questions to be answered at your convenience. These questions can be anything; sample questions include: which logo is better, which promotion is better, information about your travel, shopping patterns, and so on. Sometimes you could get a questionnaire that is completely irrelevant too. Google will aggregate and analyze your answers and send them anonymously to market researchers, and give you Play Store credit for every survey answered. Google assures users that the responses will not be linked to any of your personally identifiable information. It is straightforward; just download the app from Play Store and install it. In the beginning, you will have to answer a few basic questions about yourself like your educational qualifications, your age, gender, etc. 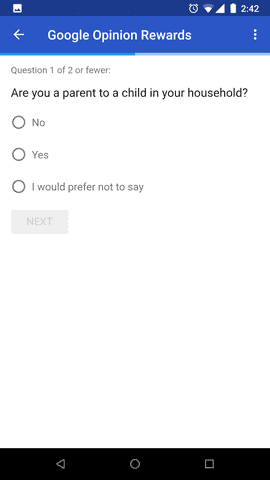 Based on your answers, Google will send you questionnaires; the frequency of the surveys is random – it could be once a week, or more or less frequent. Every time you have a new inquiry, you will get a push notification saying there is a new questionnaire for you. You can earn money for every survey you answer. These credits are valid for a year, meaning you can accumulate them and buy that app you have been eyeing all along as soon as you have earned enough credit. With more than 50 million installs, Google Opinion Rewards is a favorite way of making easy money and scoring cool new Android apps for free. When you start using the app, during the setup process, you will be asked to link your Google payment profile so the Google Play rewards can be applied directly to your account. The credits you earn from answering these surveys can be used across Google Play Store to buy your favorite apps, music, books, or movies. It is valid for a year and accumulates in your account as you answer more and more surveys. You can quickly redeem the credit you have earned by tapping on the Spend my Play credit link on the app home screen. You can also redeem it by selecting Google Play balance as your payment method when you buy an app, or music or a movie on Play Store. 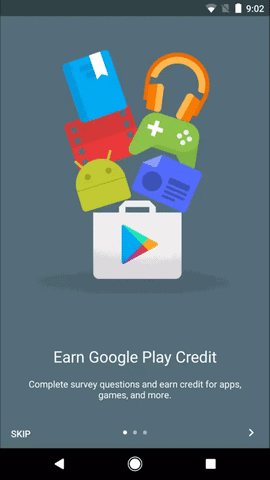 Remember to use the same login credentials in Google Play, Google Opinion Rewards, and Google payment profile to be able to earn and spend credits successfully. The amount of money you can earn varies from survey to survey and can range from a few cents to a dollar. These credits can even go up to $5 per survey. In India, you can earn an average of Rs5 to Rs10 per survey answered. The amount is seemingly random, for instance, a 2-question survey paid me Rs 6.16, whereas I earned Rs 5.15 for a 4-question survey. The surveys come in randomly too, sometimes once a week and sometimes more often. Users on Play Store have a common complaint that the number of surveys peters out gradually as the days go by. 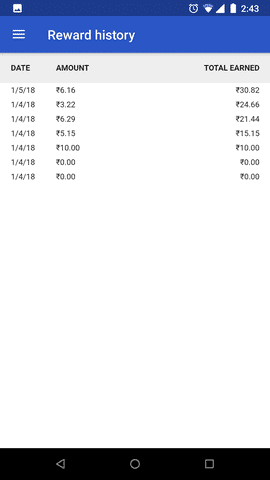 In the three days that I have been using the app, I have earned around Rs 30, which is incredible considering I spent less than 2 minutes on each survey. The more you use the app, the more surveys you get, and the more you can earn. While the premise of Google Opinion Rewards is simple – you answer questions, you earn money – here’s how to get more surveys on Google Opinion Rewards. While there are no sure-fire Google Opinion Rewards hacks, following these tips can help you optimize your Google Opinion Rewards experience and earn more credits in the process. 1. Be honest with your answers: Google uses your answers to improve its services or passes on your responses to companies looking for your opinion on their services. Lying or being dishonest defeats the purpose and Google’s algorithms can easily figure out inconsistencies and fallacies. Try to be as honest as possible to increase your earning; being inconsistent and false will reduce your chances of getting more surveys. 2. Pay attention to the questions: It is easy to fake your way through the questionnaire, and since the questions do not involve heavy lifting, it is easy to skim through without really reading them. Don’t do that. Read the questions carefully and answer them correctly. 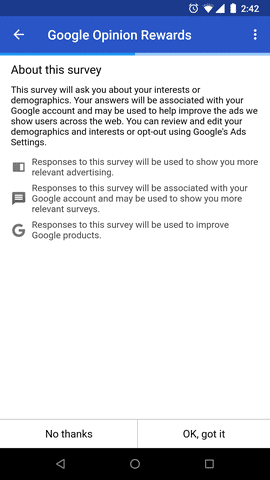 Sometimes Google will throw in a dummy question in the middle of the survey to check if you are still paying attention; if you get the dummy question wrong, it is a sign that you are not taking the surveys seriously. Users have reported that after answering the dummy question wrong, they have stopped receiving surveys. Remember to read every item carefully before responding to maximize your earning on Google Opinion Rewards. 3. 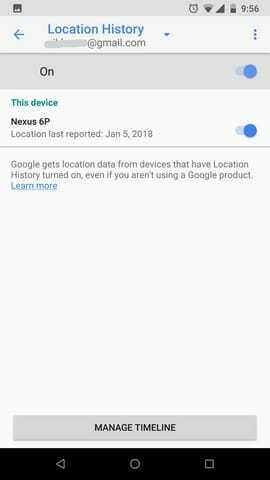 Keep GPS on and share location history: When you are out and about in your city, keep your GPS on as Google sometimes sends you questions based on where you are. If you are in a mall, or a restaurant, Google might ask you questions about the store or restaurant. If you are the type of person who loves mall-hopping and eating out in different restaurants, you can expect to receive more surveys to answer. Sharing location history with the app seems to get users more surveys than not. Google uses your location history to send you questions on where you’ve been asking you for your recommendations. So share your location history to get more surveys and earn more money on the Google Opinions app. 4. Travel a lot: Google seems to like people who travel extensively. Questions in these surveys may ask you about your experiences and recommendations. Make sure you keep your location sharing on when you travel for a better chance of earning more Google survey rewards. The Google Rewards app is Google’s way of thanking you for information that is otherwise hard to get. What seems like simple enough questions to you can be a wealth of information for market researchers. Since the surveys are sent randomly depending entirely on Google’s discretion, you can’t do much but wait for the next survey to earn your Play Store credits, but when it comes, you can buy that app that you listed in the wish list or a movie. The tool is not yet available globally; it is only available for users in the following countries: Australia, Austria, Brazil, Canada, Denmark, France, Germany, India, Italy, Japan, Mexico, Netherlands, Norway, Singapore, Spain, Sweden, Switzerland, Turkey, United Kingdom, and the United States. What are you waiting for? Go ahead and download the app and earn your next game or app using Google Opinion Rewards.